Here at BOS you are free to shop based on our product categories, or visit our guide pages for unique gift ideas, or even drop by our shopping enabled wikipedia pages that provides lots of interesting information. We have a wide variety of products from 'Home & Decor' items for the family, 'Gadget Accessories' for the tech savvy, and even 'Digital Downloads' that delivers our digital media products right to you. We are here to provide the most convenient and enjoyable internet shopping experience exclusively to our Singaporean customer. 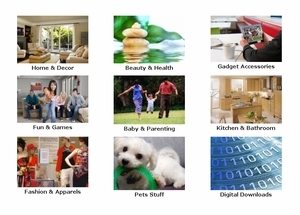 Checkout our full range of product categories below or use our Search box at the top of all our pages to find what your heart desire.